Today Apple announced Apple News Format, a proprietary content syndication format optimized for iOS, and a new consumer-facing app called News. These two announcements go hand-in-hand. Publishers can submit an RSS feed to be included in News, or they can submit their content in Apple News Format. 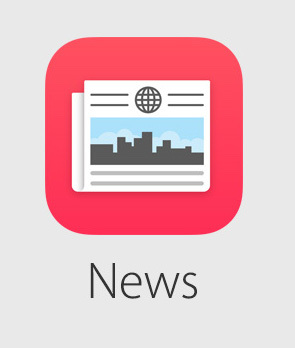 If a publisher uses Apple News Format they can include a logo and custom branding for their company that will be displayed in their content within the News app. That’s a nice benefit, especially for the bigger brands. But publishers should be wary! Apple is saying they can be a better aggregator and curator than any single news organization, as well as inserting themselves between publishers and end consumers. That’s a big deal. My guess is that News and Apple News Format will be most beneficial for small, independent publishers. The bigger publishers (Washington Post, NY Times, Buzzfeed, CNN) likely already have their own app. But app development and building a consumer brand isn’t realistic for everyone, especially smaller publishers. Lastly, I’m surprised Twitter’s stock only went down 1.5% today! News is not that different from Twitter. Apple is trying to make it easier for consumers to get a personalized news feed. Perhaps the onboarding experience can be better than Twitter, and hence bring more average consumers into the mix and demand more publisher attention! It’ll be interesting to see if News catches on. It’ll be an uphill battle.